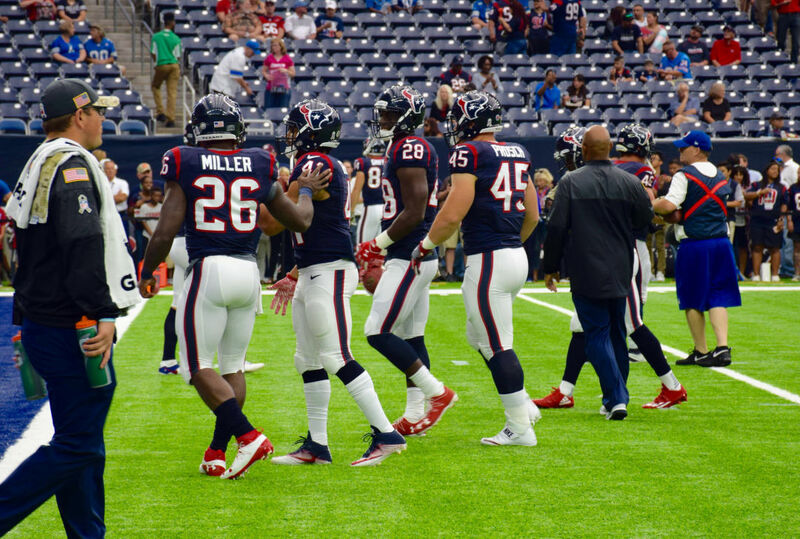 Lamar Miller is set as the starter, but will the team look to bring in new talent? Lamar Miller, #26, and Alfred Blue, #28, are both on the current RB roster. 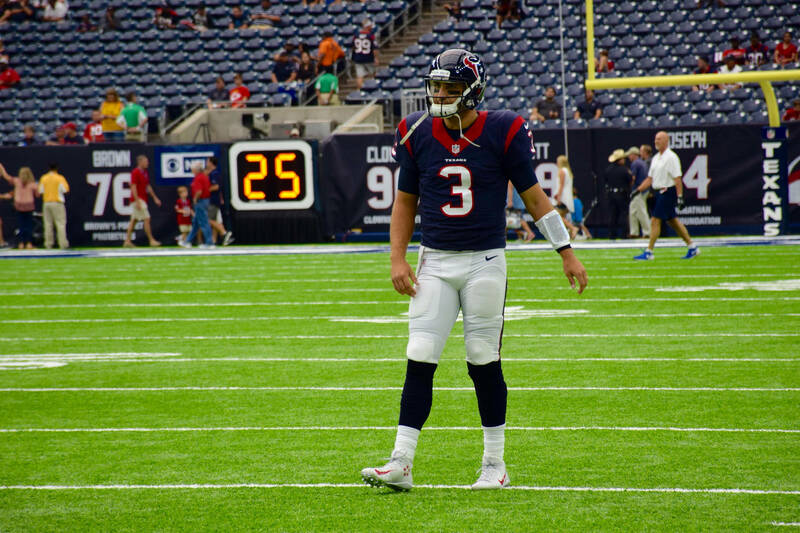 In part one of our Texans offseason series, we looked at the quarterback position, how the team finished the year there, and what they might do this offseason. The second part of our series will take the same approach to reviewing the team’s running backs, a much more stable position on the team. 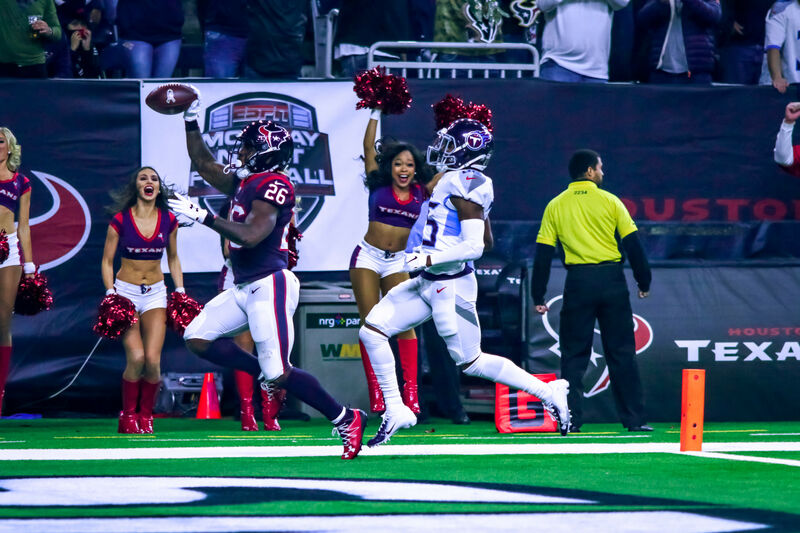 Lamar Miller was the other big signing for the Texans in free agency, coming over from the Miami Dolphins as the Texans searched for a new lead back after Arian Foster’s decline and departure (he eventually retired midseason after playing a few games for, coincidentally enough, Miami). Miller worked out better than Osweiler; though some of his averages were down from his time with the Dolphins, the Texans also used Miller more frequently, and Miller had to deal with defenses that did not fear the passing game. Miller’s talent was still evident, though he missed some stretches of games with injuries, and he’ll go back into his lead role in 2017. There doesn’t seem to be much impetus for turnover at the position, as this is a pretty well-balanced crew of running backs. Though I don’t think Blue is anything special, the team has begun to rely on him for longer stretches to spell Miller. Ervin is a quicker, change-of-pace back drafted last year who mostly contributed on special teams. Jay Prosch rounds out the active roster as the fullback. Kenny Hilliard was a seventh-round draft picks who has bounced back and forth between the team’s active roster, and the practice squad. 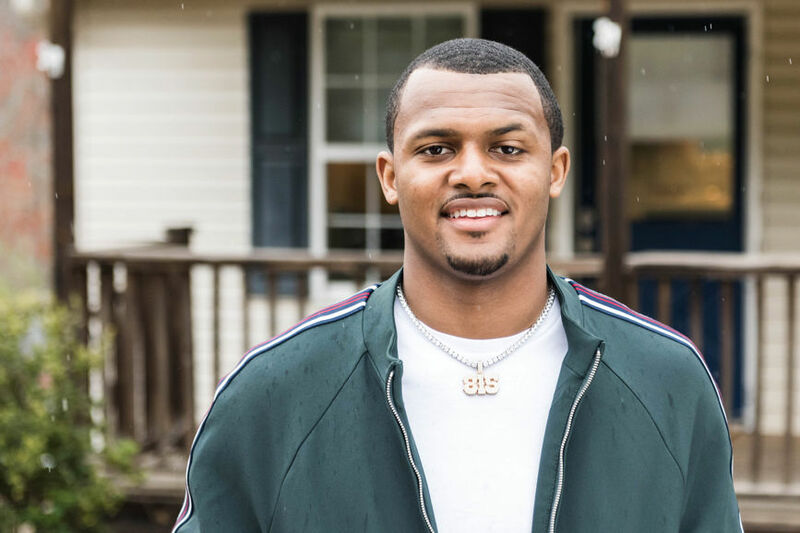 Based on the reserve/futures contract he signed with the Texans last month, I’m expecting him to start the year on the practice squad again and only get the call if someone is hurt. Akeem Hunt fills a similar role to Ervin and played well in stretches. Because the Texans have his exclusive rights, they can bring him back for the minimum salary, so I would expect them to. I do not expect the team to re-sign Jonathan Grimes, who functioned as the third primary back and only received action when one of Blue or Miller was hurt. I wouldn’t be surprised if the Texans make no significant moves at the position, other than re-signing Hunt. The one thing I might try to do is find an upgrade on Blue, since I think he’s relatively pedestrian as a talent (he was never higher than third-string tailback at LSU) and this is a pretty deep draft at running back. This year in general is a good draft to find a running back who can be a valuable contributor, even into the late rounds. 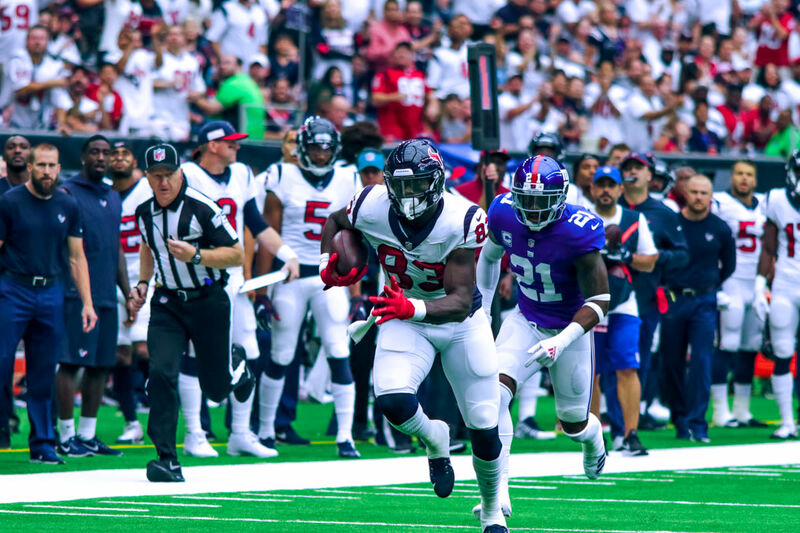 The Texans won’t get a shot at Leonard Fournette or Dalvin Cook, but if they take their usual approach of adding a back on a day three, they should be able to find success. If the team wants to draft a power back to complement Miller, I like Pittsburgh’s James Conner as a possible bargain; he missed a season of college with Hodgkin’s lymphoma, so teams may have a medical red flag on him and cause him to slide in the draft much later than his talent on the field would dictate. Some other potential late-round bargains include BYU’s Jamaal Williams, South Florida’s Marlon Mack, and Wyoming’s Brian Hill. With a substantial amount of cap room being spent on Lamar Miller already, it doesn’t make much sense for the team to chase any free agent running backs, unless the scouts have identified a role player they think can be had cheaply and provide good value. All in all, the team has a pretty good thing going at running back, and I wouldn’t expect any significant changes.